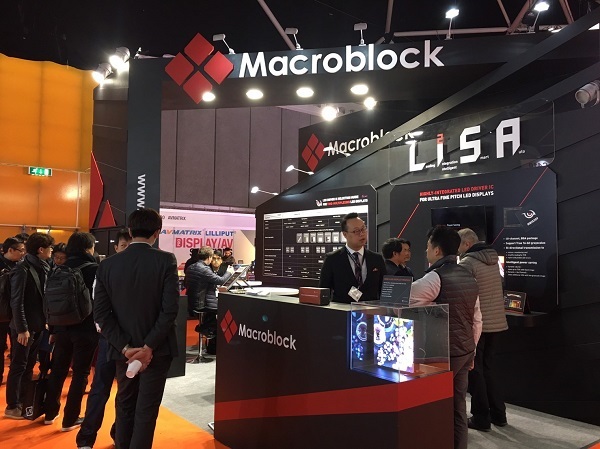 Macroblock’s revenue in Q2 increased by 23% QoQ and 27.4% YoY to NT$ 841 million (UD$ 27.46 million). As the company has been providing its driver ICs for Samsung’s cinema displays and shipping Mini LED driver ICs following the projects of its clients, it is expected that the revenue of the company in Q3 will reach a peak point. The company has offered various solutions suited for different display applications. Its common cathode solutions featuring energy saving and low temperature are perfect for indoor displays. The driver IC which supports HDR-Optimized performance has also been adopted by Samsung’s cinema displays. For Mini LED, Macroblock has developed integrated ICs which meet the needs of Mini LED displays and has continued to progress the development and production. The mass production of Mini LED products is estimated to be scheduled in 1Q19. Macroblock revealed that the company will begin to design systems to be implemented in Micro LED. As Micro LED requires lower drive current and higher gray scale, it is challenging for IC design to realize excellent uniformity and performance. Macroblock will continue to develop its driver IC technologies according to the needs of innovative technologies.